On Saturday, June 23rd, Tipsy Rose Lee and Isabella Extynn will take over both our main dining room (All Ages) and The Ballast Bar (21+ only) for a Pride Weekend Brunch Drag Show!! Brunch 10-3. 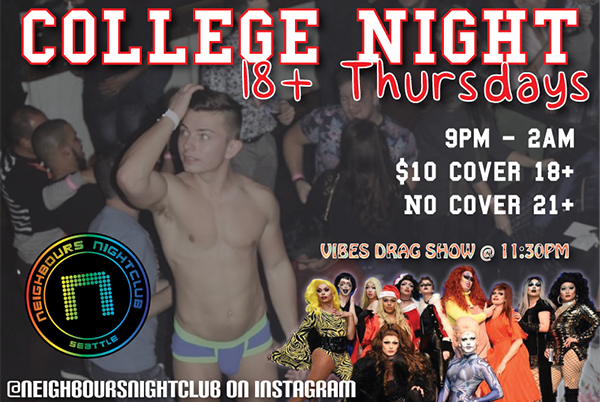 Drag show upstairs and down 11-2. Celebrate pride week and support your local LBTQ community with a fun and feisty show to match our gluten free, boozy brunch menu. Then come in on Monday, June 25th, after all the glitter has faded (or tried to), for a special “hangover” brunch, because we know that Seattle loves to celebrate Pride hard and we’re right there with you!